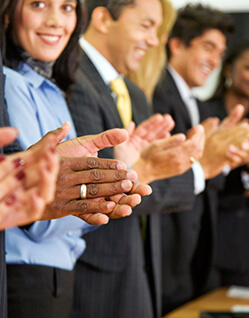 It is important to take time to celebrate the Bank’s many achievements throughout the year and have fun doing so. Family is very important to us and, whenever possible, we invite them to join in the fun. Our commitment to the community is one of our brand promises. Summit State Bank is a leader in Sonoma County for nonprofit and philanthropic support, engaging in a robust volunteer effort, and offering many programs that allow for intangible forms of nonprofit assistance. Philanthropy is a key component of our Summit Way Service Standards. We also offer our Summit Day of Service, providing a paid work day for all employees to volunteer for the nonprofit organization of their choice. 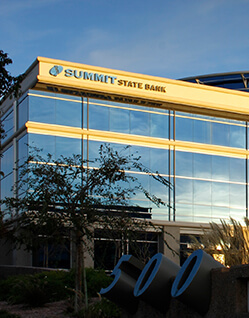 Summit State Bank offers highly competitive benefits for each of its full time employees, their spouse, partner and dependents. Part time employees may take advantage of selected benefits depending on hours worked and length of service. Contact our Human Resources department today by using our Contact Form.